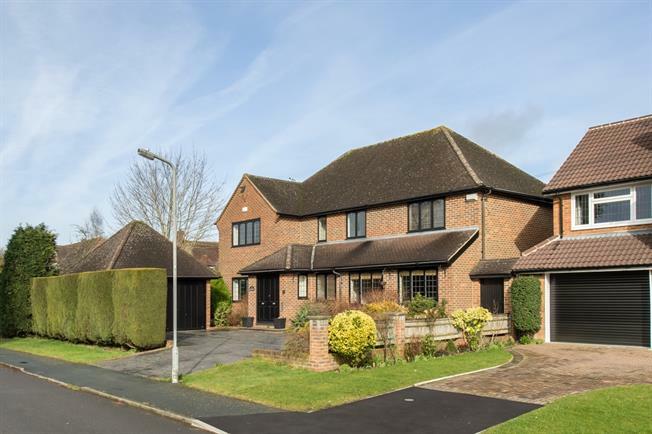 5 Bedroom Detached House To Rent in Beaconsfield for £3,750 per Calendar Month. Available immediately, this five bedroom detached property with spacious and well planned accommodation over two floors extending to approximately 1668 sq ft (155 m2) is available to rent on a furnished basis. The property has been decorated and furnished in a tasteful neutral style and is well placed for the amenities of both the Old and New Towns of Beaconsfield. Benefiting from convenient access to the M40 and London via Chiltern Railway with fast trains into London Marylebone in under 25 minutes.